We are a prominent industry in catering the meets and demands of our clients of our best Drill Jig. Drill jigs are used in metal working for guiding the twist drill or other boring device into the precise location. Raw materials that are used in the production process are of the highest-grade, in order to ensure better quality and longer life. 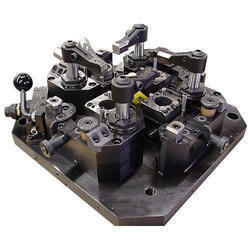 We also offer customization of drill jigs to meet the specific requirements of the customers. We are counted among the leading organization engaged in manufacturing and supplying a commendable range of Hydraulic Milling Fixtures. These are available in varied dimensions and are acknowledged for their longer durability and smooth operation. Made from high grade steel alloy they are thoroughly tested on their tensile capacity. 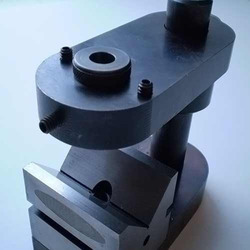 The unique design of our milling fixtures ensure high productivity, accuracy and repeatability. Looking for Jigs and Fixtures ?